I have to admit... I'm read more fiction than non-fiction. Always have. Growing up, non-fiction was relegated to school work. Fiction was for fun. 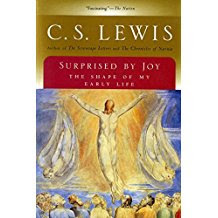 As I get older, however, I find myself turning to some non-fiction. Here are seven that I have enjoyed over the years. 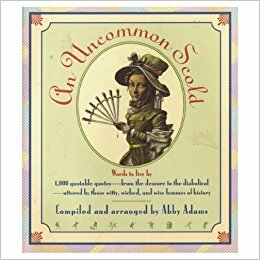 In this delightfully funny, keenly intelligent, and unputdownably readable volume, writer Abby Adams has compiled a collection of the wittiest, wickedest quotes from fabulous femmes past and present. "'Walter Scott has no business to write novels, especially good ones. It's not fair -- He has Fame and Profit enough as a Poet, and should not be taking the bread out of other people's mouths. I do not like him, & do not mean to like Waverley if I can help it -- but fear I must.' - Jane Austen"
The Regency period was one of the most turbulent ages in British history, one that spanned the French Revolution and the Napoleonic Wars, that witnessed unprecedented industrial progress, artistic accomplishment, and violent social unrest and--paradoxically--the most sparkling social scene English high society has ever enjoyed. 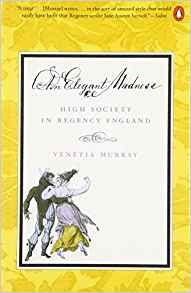 Under the influence of the obese, loose-moraled Prince of Wales (to whom Jane Austen dedicated Emma), the Regency was the apex of British decadence, an era of lavish parties and relentless bed-hopping that set a standard for elegance and vulgarity. 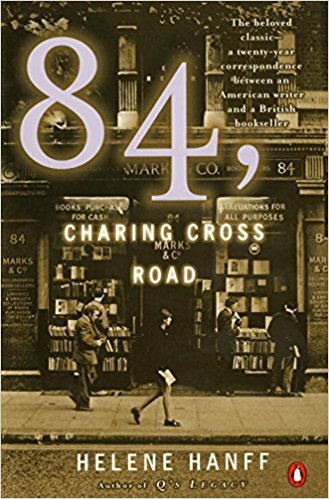 With wit and lively style, Venetia Murray chronicles the scandals, courtships, and daily life of these aristocrats, and evokes the tempestuous times of the early industrial and French revolutions. Sumptuously illustrated with rare contemporary cartoons, prints, diaries, and caricatures, An Elegant Madness is a book readers of social history and historical romance alike will devour. "But it is also true that Society managed to behave at times with amazing vulgarity." 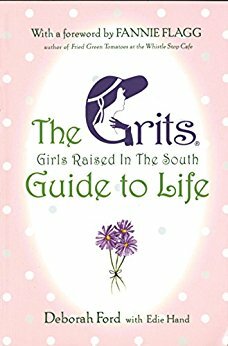 They're called Sweet Potato Queens, Steel Magnolias, Ya-Ya Sisters, and Southern Belles, but at heart they're just plain Grits—Girls Raised in the South! Now, Deborah Ford, founder of Grits® Inc., reveals the code behind the distinctive—and irresistible—style of the Southern woman. Equal parts sweet sincerity and sharp, sly humor, The Grits Guide to Life is chock-full of Southern charm: advice, true-life stories from honest-to-god "Grits," recipes, humor, quotable wisdom, and more. Readers will learn vital lessons, including: how to eat a watermelon in a sundress; how to drink like a Southern lady (sip... a lot); and the real meaning of PMS (Precious Mood Southerner). This charming book is destined to become a bible for the Southern girl—whether born and bred, expatriated, or adoptive—and her many admirers. "Grits Pearl of Wisdom #13: If anyone tries to tell you a Southern girl shouldn't drink, just tell them the truth: we don't drink, we sip...a lot." Aside from "On Writing", I've not even heard of these other books. Some sound really interesting, though. Thanks for sharing! 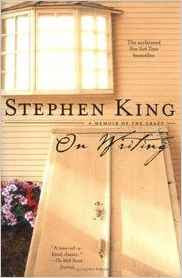 The STephen King book is like a textbook for me - I use it sososo much when I'm writing to make sure I'm not creating any "little monsters! Great list. "On Writing" was the only book on this list I've read so far, too. It was excellent. 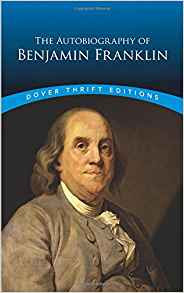 The Autobiography of Benjamin Franklin sounds good, though. I didn't know he'd written such a thing. I typically read more fiction than nonfiction as well, but I've also come to appreciate nonfiction. I've read several books on the Victorian period, and I've been reading one on the Regency period. I've enjoyed them all. I've also read several books on The Beatles that were great as well. Oh my gosh...I bet we could get along :) These are all some of my very favorites too.